Now in darkness, world stops turning, as you hear the bodies burning. No more war pigs of the power, hand of god has struck the hour. Day of judgement, god is calling, on their knees the war pigs crawling. Begging mercy for their sins, Satan, laughing, spreads his wings...Oh lord, yeah! The lover of life's not a sinner. The ending is just a beginner. The closer you get to the meaning. The sooner you'll know that you're dreaming. It goes on and on and on, Heaven and Hell I can tell, fool, fool! New Updates! (4/22/2019) We've been working really hard on completing our membership system so you can submit quotes and keep track of them. Once this is complete in the coming weeks there will be a lot more quotes by Black Sabbath and other authors. We've also changed the sorting on the site so you now see the latest Black Sabbath quotes first. 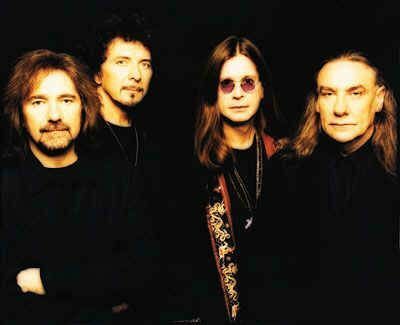 Our goal is to have the best Black Sabbath quotes on the web!